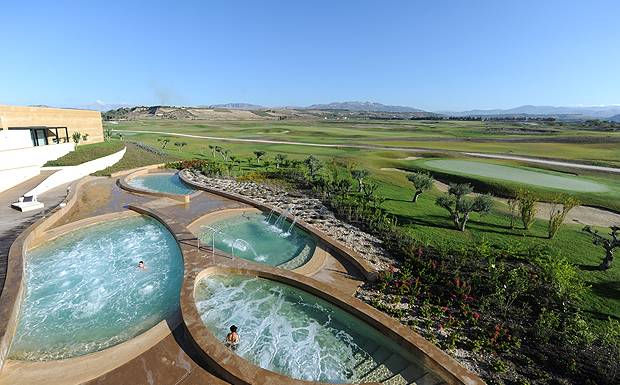 Home to the 2012 Sicilian Open Championship, Verdura is a world-class all-year-round golf destination. The 570-acre site, with almost two kilometres of private coastline, offers the perfect environment for the great game. Our three links-style golf courses, all designed by Kyle Phillips, use the natural, green contours of the landscape and are planted with indigenous trees and shrubs. Warmed by the Mediterranean sun and refreshed by the sea breeze, the courses are free from any buildings, offering uninterrupted views of the azure waters from the undulating greens. You’ll find the facilities world-class too. A double-ended driving range. Tuition from PGA-qualified professionals. An exceptional golf academy for budding young golfers. Designed by Kyle Phillips, our three magnificent courses will inspire the novice player and set a challenge for the most experienced. Kyle, famous for his designs of links courses such as Kingsbarns Golf Links in Scotland, has created two 18-hole championship golf courses and a nine-hole par-3 course at Verdura. Every hole offers sweeping views of the Mediterranean Sea, within an amphitheatre of Sicilian mountains. The two 18-hole courses, The East and The West, challenge golfers of all abilities and have five tee positions on each hole. A nine-hole par-3 appeals to novices and juniors, as do the first-rate practice and teaching facilities. 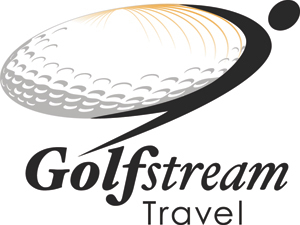 This is golf on a grand scale, with the personal service and attention of a private club. Our undulating East Course provides a truly memorable round of golf. Early highlights include the short par four 3rd and the early water holes at the 5th and 6th, each with stunning outlooks. From the 13th onwards, the course turns seaward, plummeting and swooping across glorious links terrain. The best is saved for last, with the penultimate hole rising gently into the foot of a Sicilian hillside. The 18th is a fabulous par four closer, crashing from an elevated tee along the craggy coastline. The beachside holes are the star attraction on our beautiful West Course. The sparkling Mediterranean Sea first comes into view at the 8th and 9th, before returning for a four-hole encore at the 15th. It’s these final four holes, with their uninterrupted views, that steal the show. The 16th and 18th are beautiful two-shotters, while the 15th and 17th are dominated by watery backdrops. The 18th brings you home right along the shoreline, providing a rousing finish to an unforgettable round. 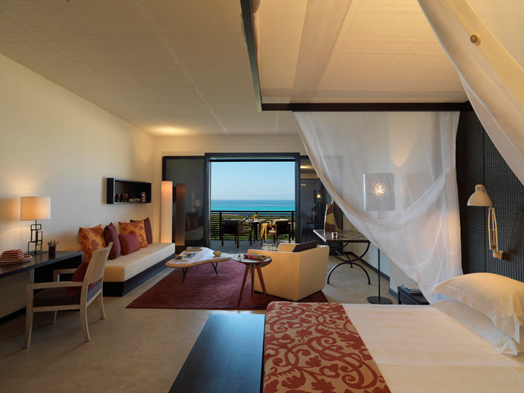 Intelligent design, comfort and privacy characterise the 203 rooms at Verdura Resort. Created by Olga Polizzi and Flavio Albanese, all offer uninterrupted sea views. Designed in fresh and contemporary Sicilian style, our Deluxe Rooms have a private terrace with seating. Inside, you’ll find a four-poster king size bed and a roomy bathroom with a separate shower. 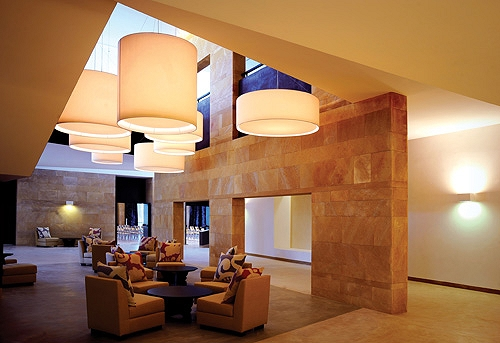 Each room can be interconnected with another Deluxe Room or Junior Suite, perfect for families. From 40 square metres. These ground floor rooms are situated in our courtyard buildings. There’s a private terrace with outdoor seating, while inside you’ll find a four-poster king size bed, a walk-through wardrobe and a spacious bathroom with a separate shower. Superior Deluxe Rooms can be interconnected with a Superior Deluxe Room or Classic Suite. From 40 square metres. These rooms are situated in our Landscape Villas and are very near to the beach. There’s a private terrace with outdoor seating, while inside you’ll find a four-poster king size bed and a spacious bathroom with a separate shower. Natural light is provided via a stunning lightwell courtyard. Superior Deluxe Sea Front Rooms can be interconnected with a neighbouring suite, making them perfect for families. From 40 square metres. Located on the ground floor, our Classic Suites have both indoor and outdoor living areas. Awake refreshed in a four-poster king size bed and take in views of the sparkling waters from a private terrace. The generous bathrooms have a walk-in rain shower and are finished in stone. Some Classic Suites can be connected to a Superior Deluxe Room. From 60 square metres. 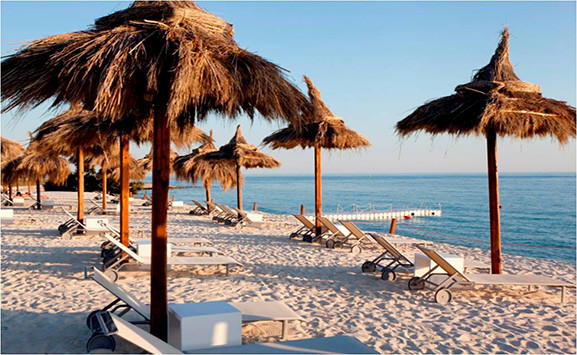 Situated very close to the beach, our Grand Suites are located in the Landscape Villas. Each suite has a private entrance, a generous separate living room, a kitchenette and an extremely spacious bedroom. Here, you’ll find a four-poster king size bed, a seating area and a walk-through wardrobe. Outside, there is a private courtyard with seating and a sea-facing double terrace with seating areas, a dining table, sun loungers and a hammock. The pale stone bathrooms have a separate shower and full-length seating area. Natural light is provided via a stunning lightwell courtyard. The suite can be interconnected with a Superior Deluxe Sea Front Room. From 72 square metres. A short stroll from the water’s edge, our Ambassador Suites are in the Landscape Villas. They have a very large living room with a dining area, a kitchenette and a guest cloakroom. The generous bedroom provides a four-poster king size bed, a seating area and a walk-through wardrobe. The spacious bathrooms have a separate walk-through shower and double seating area. The outdoor space is equally impressive. The private double terrace has a dining area, a seating area, sun loungers and a hammock. There is also an internal courtyard with further seating. Ambassador Suites can also connect to a Superior Deluxe Sea Front Room. From 170 square metres. Set on the corner of the site, our Presidential Suite has three spacious outdoor terraces. One with a private pool and sun loungers. One with a Jacuzzi. And another with a large dining area – perfect for entertaining. Step inside and find a generous living room with a dining area, a kitchenette and a guest cloakroom. The large bedroom has a four-poster king size bed and a seating area. The roomy bathroom is finished in stone and has a sunken bath, a separate shower and a full-length seating area. The suite can be interconnected to create a two-bedroomed villa. From 175 square metres. 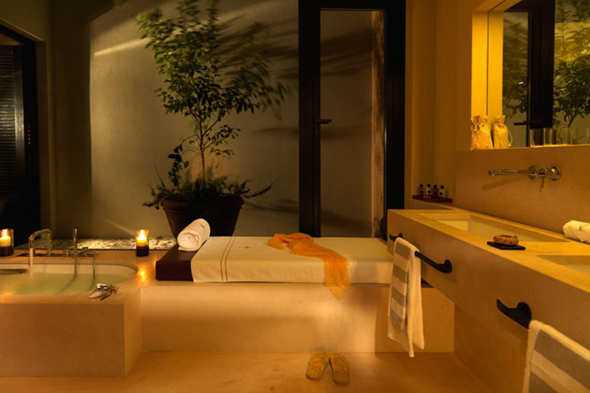 Set across 4,000 square metres of its own calm and pristine space, Verdura Spa offers a holistic approach to health and wellbeing. 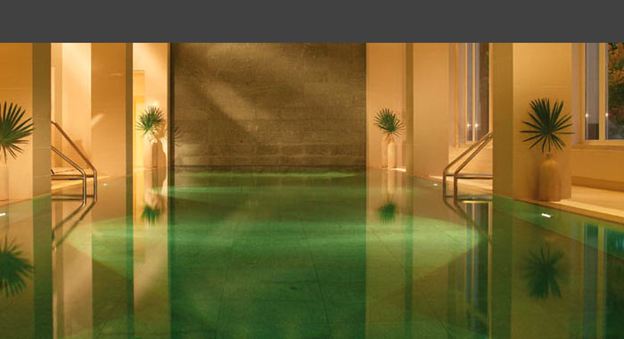 Unwind in the open-air thalassotherapy pools, indoor lap pool, saunas, hammam and a variety of peaceful relaxation areas. 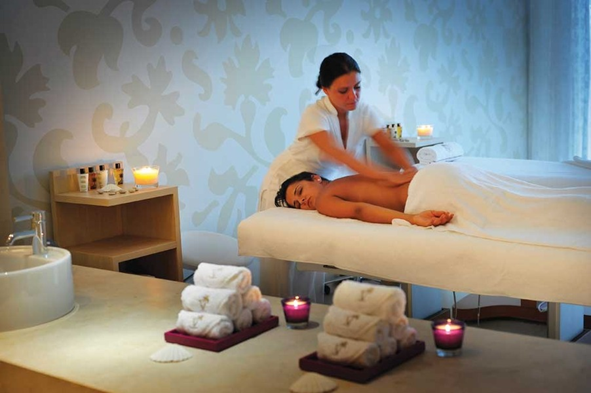 Bespoke experiences can be created by our therapists with our 11 treatment rooms, nail bar and hair salon. There are daily complimentary classes in the Fitness Studio, intensive Pilates and yoga weeks, a state-of-the art gym and personal training services.Vita Health - with the latest integrative medical techniques and advanced natural therapies- is also located at Verdura Spa. Created with Dr. Nyjon Eccles, a specialist in nutritional, non-invasive and anti-ageing medicine, Vita Health offers an exceptional approach to intelligent, healthy living. Dr Eccles is internationally recognised for outstanding contributions in the medical field. He was awarded the Medical Science Award of Excellence 2011 for Natural Medicine Research. Vita Health’s bespoke programmes focus on four core health areas- better ageing, detoxification, stress management and weight loss- to improve wellbeing and reduce future health risks. The legacy of 25 years of pioneering medical and dietary research, Vita Health programmes combine the latest integrative medical techniques and advanced natural therapies, with exercise programmes from Verdura Spa. Meals are based on the natural power-giving Mediterranean diet, with menus designed by the Celebrity Chef Fulvio Pierangelini and expert nutritionist Amelia Freer. Four characterful restaurants and five bars, all in exquisite settings with outdoor terraces and views over the sea or hills. 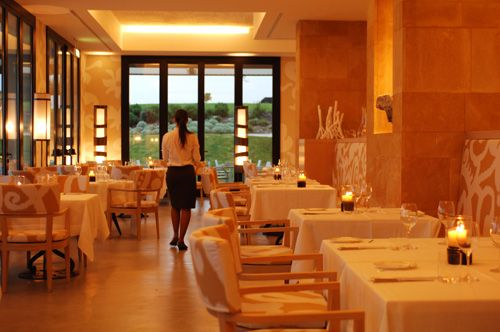 Inspiring Mediterranean cuisine in an inspirational candlelit setting. Menus designed by our celebrity chef, Fulvio Pierangelini. Watch our chefs cook up the freshest fish and seafood at our beachfront restaurant. Eat as the locals do in Liolà, enjoying authentic Sicilian food and views that will take your breath away.